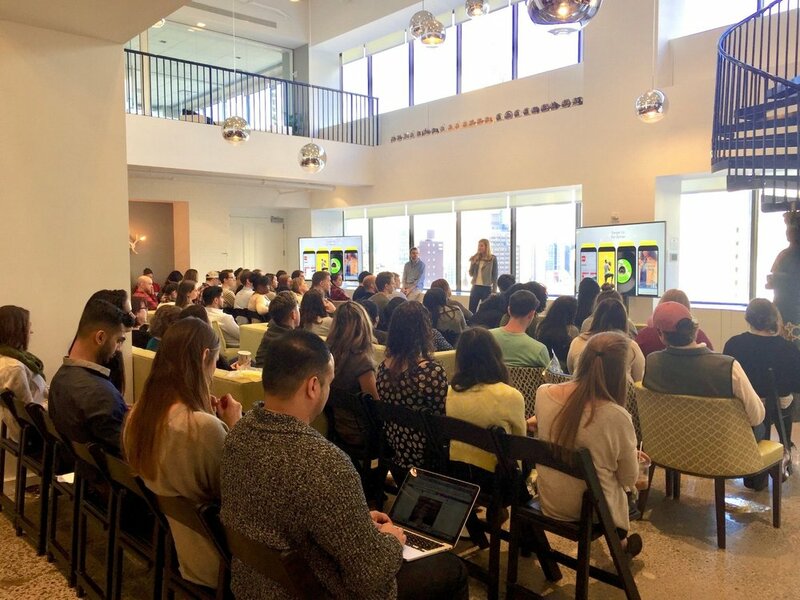 Last week, Snapchat payed a visit to McCann to share the latest and greatest of their platform. Snapchat was once an app that allowed users to share images and videos which would then disappear after viewing. Since then, it is clear that is has grown to be much more. Users can get news updates, watch shows, share content, shop, order an Uber, find their friends locations – all within the app. Snapchat hit on four main features of their platform – SnapAds, SnapCodes, Filters, and Lenses. SnapAds and SnapCodes are on the consumption side of the platform. SnapAds appear in between stories and can have a “swipe up” feature – telling the users to swipe for more content. This is an efficient way to get engaged users, as there is no “accidental” swipe up – those that swipe up are actually interested. SnapCodes are QSR codes that can be placed in the world – commercials, coffee cups, a print ad, and even the floor! A Snapchat user can scan the code with their phone and unlock special branded content. Filters and Lenses allow for creation on the platform. Filters are applied after a photo or video is taken, while lenses are utilized while the photo/video is being taken. Filters are typically a text or image overlay. Lenses provide a dynamic AR experience that play on the users faces and the world around them. Lenses can fit to a user’s face to make them look like a character, or flip the lens and suddenly have it be raining stars right in your living room. Interested? Check out the Stranger Things lens that recently ran, taking the user into the Living Room from the show.